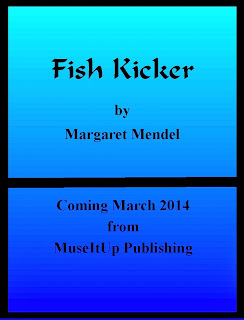 Welcome author Margaret Mendel to the Hobby Hoedown! Margaret shares her hobby of photography and stories about the photos she captured with her camera. Please enjoy taking a break in your day with this delightful guest post. Writing is my first love though photography comes in a close second. I discovered photography after graduating high school when a friend told me I could order a Pentax camera directly from the factory in Japan. I saved my hard earned dollars working as a power sewing machine operator, sent a money order to Japan and waited. When the camera arrived I thought it was the most exotic thing I had ever seen. It was a heavy, black 35mm film camera. There was no digital back then. “From this hiding place, my sister and I spied on Mom as she hung the wash or picked the dead leaves from her dahlias. A thin woman, Mom always looked as though she carried a load equal to her own weight in her arms, either the laundry, one of our two younger sisters, or the bushels of vegetables she dragged in from the garden for canning. She worked like an ant, always dragging, lifting or pushing something. Some years later my Pentax was stolen. I was heart broken. There were not enough funds to replace it. Life took some interesting turns around that time with a marriage that fell apart, raising my son on my own, going back to college, and photography became a low priority. Eventually I scrapped together enough money and got a new camera, a Minolta. Once again, I was off and running, clicking the shutter every chance I got. Over the years I’ve upgraded my camera. Now I use a Nikon 7000, and like my laptop, it goes with me just about everywhere. Photography has taught me a great deal, but unlike writing, where a story builds scene by scene, a camera captures with one click of the shutter an image that capsulizes an emotion, a moment in time, or a dramatic scene that tells volumes without the use of words. I live in NYC and there is no end to photographic opportunities in this city. I don’t have to go far, because even sitting on my terrace; either looking down at the activity on the street or gazing out onto the water towers across the way, the view presents an unlimited chance to click the shutter and grab a photograph. Against the unforgiving landscape of Alaska, Sharon Wolf struggles to reclaim her life from alcohol abuse and regain the custody of her daughter. Winter is fast approaching and Sharon has nowhere to live, and no money. To make matters worse, she’s the only witness to a murder, and the murderer knows she saw him. Luck finally seems to be on Sharon’s side when she secures a job as a fry cook in a back country bar, aptly named The Nowhere. Sharon’s life seems to be coming together, including weekend visits with her daughter. But Herb, the murderer, finds her. If Sharon can’t resist the bottle and turn to others for help, something she never has done, both she and her daughter are in danger. Herb has no qualms killing again. 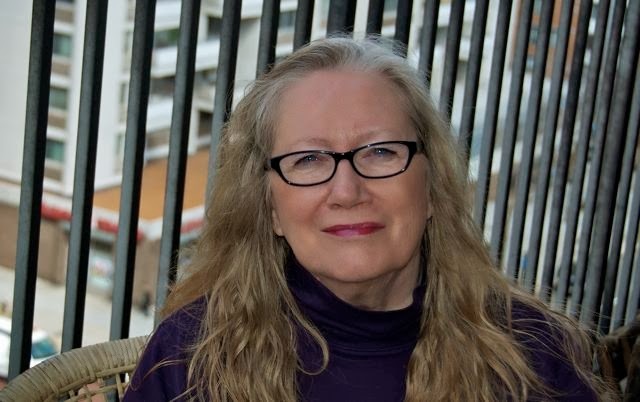 Margaret Mendel lives in New York City and is a past board member of Mystery Writers of America and Sisters in Crime, NYC. She has an MFA in creative writing from Sarah Lawrence. 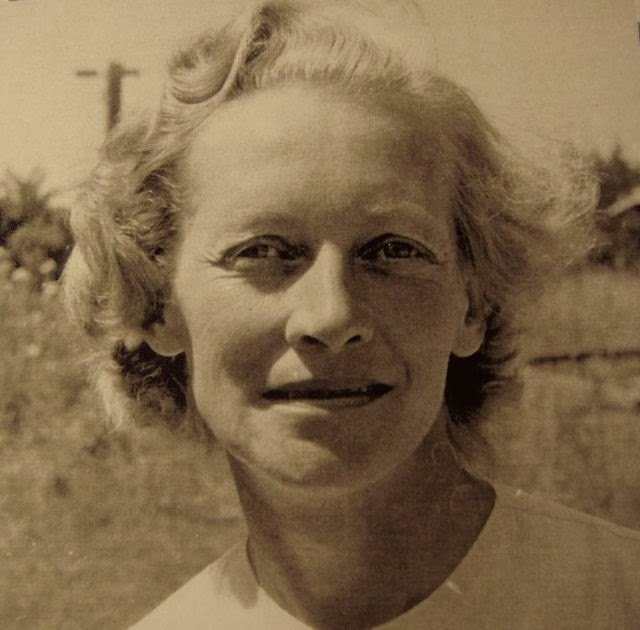 Many of her short stories have appeared in literary journals and anthologies. For more than twenty years, she worked in the mental health field, though now she devotes herself to writing full time. She is an avid photographer and not only drags a laptop, but a Nikon D7000 camera wherever she goes. Margaret, thanks for sharing your hobby with us. The NYC photo looks like an oil painting. Gorgeous! Do you photoshop your images? Very interesting. You look like your mother. It seems you could write really well when you were quite young. No wonder you have done so well. JQ Rose: Thank you so much for hosting me on your blog!! What great fun!! I do some photoshopping, like a woman with make-up, it never hurts to do a bit of touchup when coming out into the public. Suzanne: Thank you for the lovely compliment. Actually I've been writing a lot longer than clicking the camera shutter. I see photography and writing closely related to one another. Thank you for leaving such a gracious comment! Hi Margaret, It's great to see some more of your photos here on JQ's blog. I loved the short extracts from your memoirs. You paint a great picture with both pen and camera. 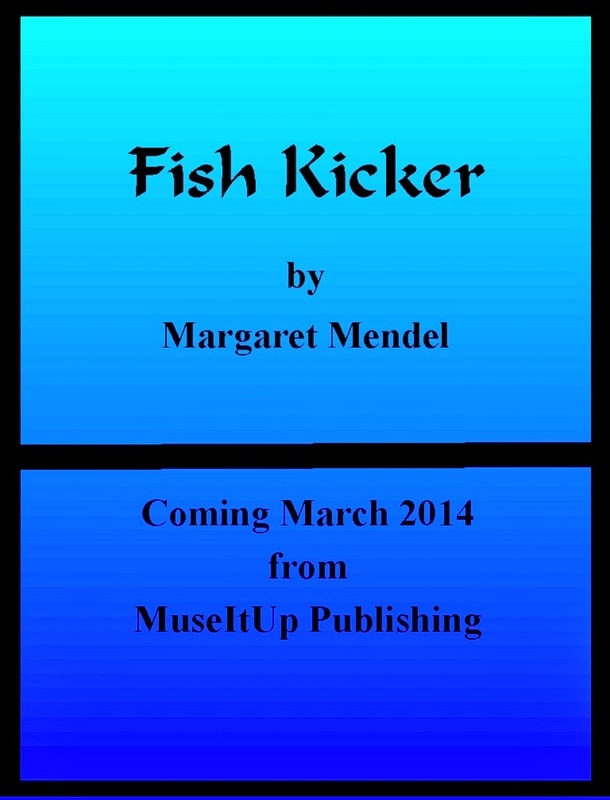 I'm looking forward to release of Fish Kicker! Beautifully written account of your mother when you were younger and photograph of your grandson with the dragonfly. A great combination, writing and photography. I bet there is no end to photographic opportunities in NYC. I have always been fascinated by water towers and the juxtaposition of weathered, dilapidated-looking wooden tanks sitting atop New York's seemingly indestructible masonry. This is the real NYC skyline and your photo captured it beautifully! Suzanne, thanks for stopping by. Helena, she does paint a great picture with her camera and her pen. I love this comment. Thank you. 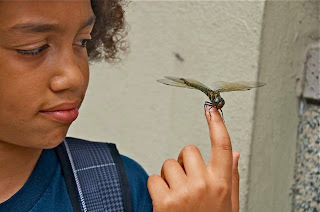 Susan, I agree the photos are beautifully done, and I especially love the photo of her grandson and the dragonfly. She should display that at his high school graduation open house when the time comes, don't you think??!! Deb G, I was never aware of the water towers on top of the city buildings until we took a tour of Chicago. In this day and age of modern technology, you would think there would be another fancier way to deliver water to folks in those multi-floored buildings! Thank you for stopping in Ladies! Helena, thank you for coming by and posting such a gracious comment about my pen and camera. Always great hearing from you. Susan, you are right there is no end to the photo ops in NYC.Thank you for stopping by and leaving such a lovely comment. 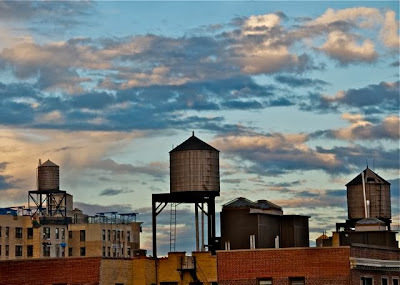 Deb G, I love water towers, too, and they are everywhere in this city. Thank you for coming by and leaving your kind comment. Wonderful pictures, Margaret. The shot of your mother is very touching. My husband is a professional photographer, and we both love visiting NYC for inspiration. Heather, the next time your in NYC look me up!!! Thanks for stopping by and taking the time to leave a wonderful comment. Love the pictures, Margaret and love even more the writings about your mother and the dragon fly. Can't wait for your book to come out. Heather, I would love to meet with your hubby and Margaret and catch some tips for composing and lighting to snap beautiful pictures. Marsha, thanks so much for stopping in. I'm looking forward to Fish Kicker too! Marsha, so glad that you stopped by and left a great comment!! And I understand you did some FB too. I cannot believe what a great group of authors MIU has gathered. I feel like I've found a new family!! JQ Rose you are a great host. And wouldn't it be great if we could gather some of the MIU authors in NYC!!! What do you think?? Eric, thanks for coming by and leaving a comment. Yes, getting my first novel published is exciting and I can't wait either!! Is that too vain of me? Eric, thank you for stopping in. Margaret, MIU Publishing is a very supportive community, and sometimes a bit wild an craaaa-zy. Yes, get a group of MIU authors in together and watch out NYC!! LOL. Thanks so much for sharing your photography and stories on the J Q Rose blog!! JQ Rose, I cannot thank you enough for letting me join you on your Hoedown Hobby blog!!! Such fun and I know that quite a few folks enjoyed the visit, too! Thanks again. So, let's think about a NYC gathering!